Hello everybody and welcome to our Daily Huddle episode 03. Right now we’re actually on our third episode of our daily huddle. For those of you who are actually joining us for the first time, here’s what our daily huddle is all about. Every weekday I’m going to answer five questions and I’m not just going to basically answer them in a one short sentence answer. I’m going to answer them in detail and in length so that it can actually help you move forward for your business regardless if you’re starting one, you’re building one, you’re scaling one or you’re planning on selling one at the same time. I’m going to answer every single question every day; I mean five questions every day. I should say I can’t be answering every question every day or else it’s just going to be me just being on camera on like a 24/7 clock just to answer all your guy’s questions. For those of you who are here with us right now whether on Facebook or you are on YouTube, tell me guys that you are excited put in the word excited in the comment box or right in the chat box if you’re on YouTube right now. I want to basically make sure I see a lot of people. All right I’m getting Ryan, Thomas, Lynette, Dawn, Jasmine, Nance, Tacky, Erwin and Mandy. [Side talk 01:22-39] I’m getting a lot of new people pilling on right now as we speak. For those of you who have actually watched my first and second episodes of our Daily Huddle put in a ‘ME’ if you have watched our first and second episodes of our Daily Huddle. I want to see like how many people watched or been here with us live for our daily huddle so that you guys are basically being informed and learning from all these questions that are being fired at me. I actually have hundreds and hundreds of questions every single day. If you actually have a burning question simply there’s a link above this video on Facebook and then a link right down on the description on YouTube, click on it, feel in your information and ask me your question. Again, I’m not going to any campaign reviews. I actually have some people sending me information about campaign reviews, store reviews I don’t do any of that. I only actually do campaign reviews and store reviews with my members in our member’s area. This is really just answering questions for you that can help you move forward with your business. I’m getting a lot of ME’s coming in right now, excellent! I’m getting a bunch of you guys on YouTube. I’m getting a lot of people actually on YouTube right now. So without further ado let’s officially kick start right away to basically answer the five questions that are given to me today. 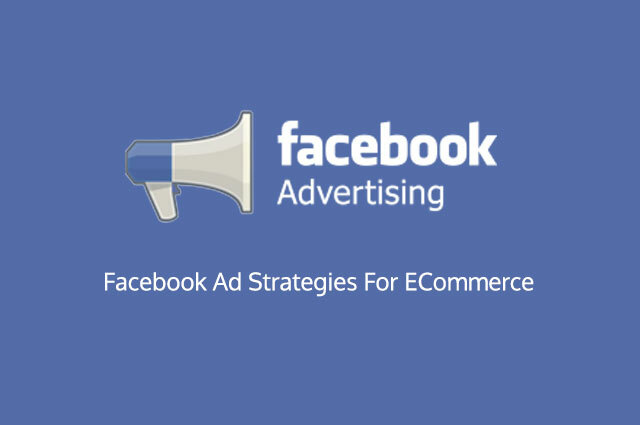 Today it’s going to be all about Facebook ad strategies. I picked five questions that are talking primarily about Facebook ad strategies so that we’re basically trying to agree on a topic for each of these daily huddles and answer all these questions so you guys are basically all on the same page. [0:03:38] Question 1: My Facebook ads just don't seem to be working. How do I write a winning Facebook ad? What does it need to have in it? A.) You’re selling a physical product, you’re selling a service or you’re selling a digital product. Because at the end of the day, these different businesses should have a slightly different ad but when it comes to a template that is proven to actually have a higher click-through rate, here’s what I actually do. There are I would say four elements that you actually have to look out for that I make sure that I have in every single ad that I put for my Facebook ad. Let’s start with the first one right away. The first one is a short sentence. It’s going to be like I don’t know how long it can be like five words to max eight words? That is going to grab the attention of the person who is scrolling through the news feed. So usually I capitalize all the letters or I simply create something very, very catchy to actually get that person’s attention. What I also typically do is adding some emoji icons. You can see actually on my Facebook post right now, I use emoji icons. Like today I use the one that is sticking out the tongue with the dollar symbol on it because emoji icons really catch the person’s attention right away. And I usually use emoji icon to basically bracket out the main topic or the main headline that is going to attract or grab the attention of the person who I’m trying to serve the ad too. So again, it’s attention-grabbing, we’re up to date. Then I provide one sentence. In one sentence you want to accomplish what your ad is talking about. So for example if you’re selling a physical product it can be something like one weird little gadget that makes your dumpling in seconds; something that really catches the person’s attention or basically wanting to actually learn more. From there I would actually add in a call to action so if you are selling a physical product you can say, “Baby get this free but just pay shipping.” And then the other one maybe if you’re trying to capture an email address, I would say, grab your copy here or save your seat here or something like sign up here and when I put the sign up I also add in another emoji icon which has an arrow. You can see right now on my Facebook post that I actually did exactly how I am sharing with you right now, so from there I put in a link. As you know if you’re trying to advertise on Facebook your goal is to make people go to your landing page. So by actually having a link right at the top of the post; it will basically give you an additional spot for you to get that person to click your landing page. I use a software called Tiny which actually I’m a co-owner of that can give me the ability to do a lot of things, it’s tiny.ie if you want to check it out. For those of you, you can use bitly, you can use the Google shortener because you don’t want to actually have their long old-fashioned URL taking a big spot. You want a short, quick URL that is short that’s what we call URL shortener for you to actually click on it from there. People are really now trained online to click on the short URLs. Then at the en, I would actually ad in some social media stuff for example “like this post if you want this” or something like “tag a friend” or “comment below of what you think”. You’re creating the social aspect of things so just in the post text alone. We just talked about having a headline, having a sentence that really can capture or attract the person or really sell what you want to do. Then number three, a call to action; number four you simply have in social media elements right into that post itself and to wrap it up you want to also use emoji icon. On top of that you obviously want either a nice video or a nice catching image that can represent your product or service or whatever you’re trying to sell and number three you can use a slide show. But here’s what I can tell you, a lot of times right now I have been seeing especially in the current Facebook advertising world that video and also slide shows or what we also call thumb-stopping ads are actually doing a lot better than images but again, each market is different, each niche is different you want to test it out and see what works best. But so far I’ve seen that a lot of times video ads or something that is moving in that spot, so you read the text at the bottom; there’s either a base for you to put video, image or slideshow or whatever. I’ve seen that video is currently outperforming a lot more than image for some of the niche that I am in but again, you have to test it out because each niche is very, very different. Last but not the least is the post link text. The post link text, you also want to create some kind of attention. So usually, what I do is that for the post link text, I will reinforce what I basically said in the post at the top where the headline is to reinforce in detail on what they are actually getting themselves into. That way you have like the perfect ad template created for your ad. Usually that’s what I do and I hope that this really helps you out. Put in a ME in the question box if that template really helps you out because I’ve seen a lot of people running different templates, I’ve seen a lot of running different ads either their ads or just not directly telling the user what to do. They don’t get it and they just basically slip and pass by from there. [0:10:23] Question 2: What is your FB strategy? Eg always start with PPE then conversion add to cart then conversion purchase and should one use a new pixel for each store if the niche is different? Let me answer your first question first. Your first question is basically saying what kind of Facebook strategy I use, do I start with PPE? Then going into the conversion of add to cart and going to conversion with purchase. My answer is I always go after website conversion based on the purchase. I do not start with PPE. I do not start with add to cart. I do not basically make it towards going to purchase. I go to purchase straight on day one. And here’s the reason why, when you’re advertising on Facebook you basically choose the objective, so you tell Facebook why you’re advertising on Facebook. What is your end goal? What is the result that you want from the ad that Facebook is serving? Now when you choose post engagement ad, well guess what’s going to happen? Facebook is just going to primarily focus on getting people to like, comment and share. They’re not going to basically optimize your ads for people who actually buy the product. You will still get some sales here when you’re running a PPE campaign because there’s going to be spillover traffic, people share it and their friend actually saw it and actually buy from sharing from your ad. However at the end of the day, your simply just telling Facebook, “You know what I don’t care about my purchase, all I care about is you getting people to actually just engage with my ad and that’s it. And when you do that over time you’ll see that your ad is not going to perform [inaudible 12:26-27] your ad is not going to perform because you’re not telling Facebook specifically what you want. Now the same thing to add to cart, when it goes to add to cart, well guess what Facebook will only optimize your ads and show your ads to people that will most likely add the product to cart. They won’t care if you’re going to get the actual purchase or not because you told them right out the gate that hey Facebook I only want add to cart right now and I want you to optimize my ad based on that two carts. In reality, what you really want to do is go after purchase straight from day one. You want to tell Facebook, “Facebook go look for the buyers within my interest targeting. And here’s the truth when it comes to targeting, let’s say that you have an audience size of a million audience when you’re going into Facebook and when you’re trying to advertise on Facebook. Let’s say that the pie is like here right here, this is like the circle of the pie, a million people right inside; what happens is that Facebook won’t go after this entire 1 million audience. What they’re going to do is they’re going to take a segment of this 1 million audience so maybe 100,00 of them or even 50,000 of them and only serve your ads to people that will most likely be performing or basically giving the results that you want, so what Facebook does [inaudible 13:52] 1 million they’ll see, “Oh okay, now this 1 million, here’s a 100,000 people that will most likely buy a product from a third party website which is your website.” Then they’ll serve your ads to those people first so that you see immediate results because Facebook’s motto is that they want small advertisers like you to see results right away so that they can actually [side talk 14:17-36] so Facebook will basically just go after that small segment first because with your budget unless you’re doing like thousands of dollars right away then your pie is going to get bigger within that pie. You basically want to tell Facebook right away that hey, I’m advertising here because I want to actually get purchase. Now the answer to your second question, you’re asking, should I be having one pixel per store or per niche and the answer to that is YES. You don’t want to actually have one pixel going after multiple stores. You want to make sure that one website or one store has one pixel within one niche because that’s where Facebook is actually capturing all the data so that at the end of the day they know who your customers are, what they buy, what their behaviors are, what they do and over time Facebook starts to learn more from your pixel and can actually give you better results. So, the answer to the question is, yes to have it right, one pixel for each store is the best way to go. [0:16:02] Question 3: How do you find interest targeting do you usually use? Like pages, interest or behavior and which one do u recommend? 1.) I look at the top brand that is the niche that I’m in. Let’s say that you may be in digital publishing and you want to go after the personal development space well I can’t say brands, there are public figures like Tony Robbins, Bob Proctor and all these other guys. That’s where your starting point should be. Another interest that I would go after brands for example Think and Grow Rich if we’re talking about the PD space, Mindvalley etc. etc. The other thing that I actually stay away from is key words. So, I primarily go after brands and public figures right out of the gate to capture more information. Let’s say that I actually have that my interest targeting of Bob Proctor works really, really well then guess what I do, I take that interest and I go to the audience insight and right to the audience insight you can actually put in the interest of Bob Proctor. When you put it in there, you actually get the ability to go under the page like stab to see what other pages or what other brands or what other affinity these audiences are most likely going to also show an interest in so, you slowly expand it from there. Here’s major tip though, when you’re getting out of the gate let’s say for the PD space there’s going to be a lot of different PD’s like Tony Robbins is like business PD, Bob Proctor’s more of like a mindsets PD, there’s like another one like proper law of attraction. There are all these other PD elements involved. Yes, your entire business is the overarching, the over branch or the top is basically PD. Well PD stands for personal development by the way for those of you how are asking. Then what I normally do is I don’t right away I won’t know it if that audience is going to work or not so you wanted to test it through ads and look at the data points to see if those audience are going to actually convert for you or not and then from there you want to expand. 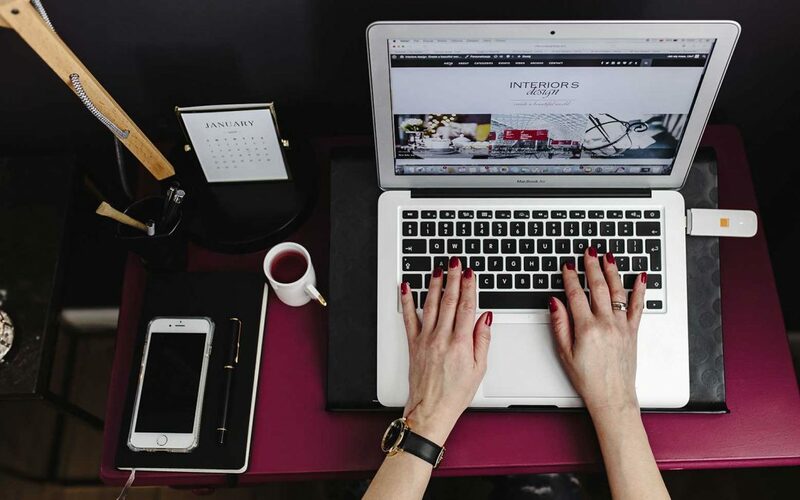 Now, when you start to actually get customers or when you start to get leads that are accomplishing or that is delivering what you want so let me take leads as an example I’m going to move from e-commerce a little bit, no let’s talk about e-commerce. So let’s say you are selling a lot of this crystal I don’t know this is not crystal it’s like this apple thingy -majiggy, what I do once I actually start from scratch going after different interest and it starts to work and I’m collecting customer’s information, I’m literally getting sales, I’m starting to capture customer’s information. Once I hit a certain point and it shipped me around a thousand I know it’s a little bit advanced what I would do is I would actually export that customer list, upload it to Facebook and create a custom audience and going back to the audience insight to simply look at who my customers are or what do they actually like. So, I know who my customer’s avatar is. You’ll be surprised that I actually found a lot of new targeting by simply uploading my customer list to Facebook and using the audience insight to look at what my customer likes you’ll be surprised like literally surprised. And one of the most interesting thing I was selling a household product and I never knew and I would never guessed in my life if I didn’t go through that process I would never guessed in my life that the people who are actually buying my household goods are basically anti-Trump people, people that are against Trump, people that don’t like Trump which is very interesting. And that really opened up my eyes on knowing and identifying a new market that I can really go after going back to the interest targeting. So, again you would want to start with brands, you want to start with public figures right out of the gate because those are easier for you to actually convert and then from there you grab the data and you diversify from there. I hope that help you out. If you guys are of Facebook give me more of the love symbol if you guys are loving our daily huddle right now. I’m literally just following through and answering as much question as possible and I actually took a lot of time answering your questions too. I see a lot of guys on YouTube right now that’s great. I’m just looking through YouTube we have a lot of people on YouTube right now. Again, Josie the answer to your question rewatch my video afterwards and you’ll know exactly what happened. [0:22:19] Question 4: What’s the difference between selling with Zero Up™ and selling directly with Amazon central? With Zero Up you don’t have to hold any inventory but vice-versa on Amazon side if you want to start selling on Amazon you’re going to basically buy your product in bulk, you are going to set it to the FBA and you have money invested in stock right away or inventory right away before you can actually start selling. 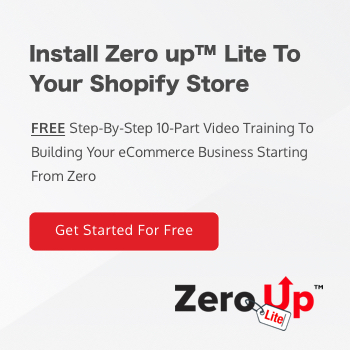 With Zero Up we are integrated with Shopify where you use Shopify as a platform to actually sell and for Amazon basically you’re selling on Amazon. Those are the two main differences. The last main difference is traffic. 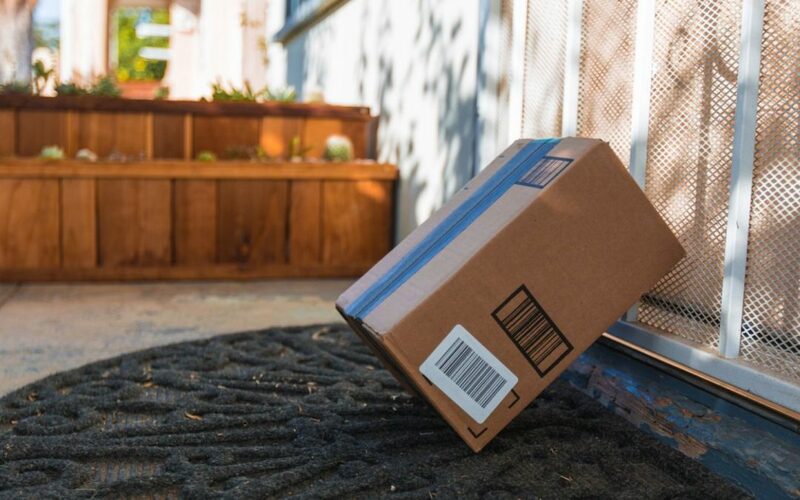 When it comes to Amazon it’s very, very, very, very, very rare or actually, it’s almost virtually impossible but it’s very, very tough for you to actually drive like other traffic to Amazon. Let say for example Amazon created their own ecosystem where you can actually advertise on Amazon to get your listing up to get traffic. But when you actually start advertising Facebook traffic to your Amazon listing you’re not sure you are going to get sales or results right away because you’re not able to put pixels and all those other stuff. Now also with Amazon, you’re literally building Amazon’s business, I’m not saying I’m against Amazon business I know a lot of people that are making money with Amazon but I’m just saying that I’m not choosing that route especially if you are new because you’re literally building Amazon’s business when a customer actually bought your product through Amazon Central and through your Amazon listing you have no way into contacting those customers because those customers aren’t yours, they’re actually Amazon’s. Inventory. With Zero Up you don’t have to hold any inventory and with Amazon, you need to. The traffic source is also very, very different at the same time. [0:25:10] Question 5: You've shown your results in the groups before and I saw that you have an Average Order Value (AOV) of at least $80. Can you explain how to get your AOV so high? Are there any recommendations you can make in apps, product copy, product selection, discount strategy, bundling, etc. that can create high AOV like that? This is an excellent question that you brought up. In order for you to actually, number one be competitive in the auction and investing more money into ads is for you to increase your average order value. Let’s say for example McDonald’s, I always love to use McDonald’s analogy. If your store is primarily just selling the burger and you are not looking at the average order value you’re just going to make let’s say $3 for a burger and that’s it. However, if you want to basically scale your business to multi-million afford more traffic and you invest more money to traffic and you actually be competitive and outrank or out beat your competitors, you need to work on your AOV, the average order value. Because if your order right now for store number one is only coming in at $3 where the other store the average order value is $6, well guess what the second store is going to completely beat the first store because this guy over here has 100% more money to actually beat this little guy over here who only collects $3. This guy right here is collecting $6; this guy over here is only collecting $3. Your job is to increase your AOV. There are several strategies to increase your AOV. Number one is you want to actually sell different tickets for the item. You want to sell a low ticket, mid-ticket and high ticket. Don’t just primarily focus on selling a low ticket. A low ticket is basically anything that’s going to be in the ballpark of $10. You want to sell things in a $10 range all the way to $20 to $50 range and all the way to $100, so by that, you can buy all the orders together. You know for a fact that hey your average order value is going to be a lot higher than all the other people. The next thing that I do that I absolutely love is, simply using a sales funnel, what we call up selling. It’s just like going to McDonald’s. When you go to McDonald’s you buy a burger. What does the cashier ask you? Do you want fries with that? And do you want a soft drink? By actually up selling the initial customer on more products, the reality is not everybody is going to basically take all the upsells that you’re offering but even if you can actually get 20% take rate for all the upsells, you are still making a higher average order value then not having any up sells in place. The last thing that I do is called bundling. On a page you don’t just have like one product, you basically say, “I have a bundle package” or basically “buy three for the price of two” or something along the lines of that. That way you are boosting your average order value. 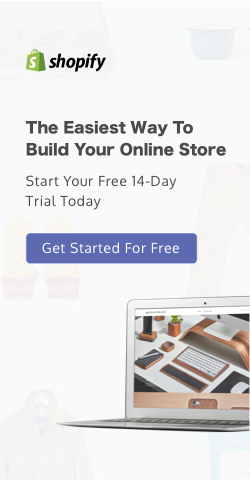 You’ll be surprised that you may think that of all people just simply buy one product on your product page. The truth is if there are options for them to “save money” they will actually buy more items than just one. So that way you are then increasing your average order value right away. So there are basically three strategies I play write down. By doing that then you get to afford more advertising, invest more money into ads so that you can actually kick out your competitor and basically have more traffic going into your store which that means you have more customers. When you have more customers, you have more email addresses and when you have more email addresses you can actually make more profit by selling them email and then offering them different promotions etc, etc. etc. I really hope that helped you out, Robert. Those are the strategies that I’ve been using. And listen, guys, these are things that you absolutely want to do. We covered a lot of the Facebook ads strategy style from like targeting, from website objective, from average order value. These are the most important things when I actually come into advertising on Facebook. Because let’s be honest at the end of the day, Facebook is still an auction that’s what they are. Whoever pays the most money can win. Obviously, there are other parameters involved such as like relevancy, such as how much people are engaging with the ad etc. There are other factors but if we remove those factors at the end of the day it’s all about the auction. It’s like whoever actually has the highest average order value will always win. And a lot of people asked, “Fred at the end of the day, let’s say that I’m going to continue using this little apple antique gift that I got. If two stores sell the same product but how does one store make a lot more money than the other store? Well, guess what it’s all about the AOV because if store number two sells the same thing but they are actually able to make 100% more sales and revenue than the store number one over here, guess what this guy is always going to win. This guy will always beat this person in the auction. This guy will always get more traffic than this person. At the end of the day, that’s where people start saying, “Well, I’m selling the same product I don’t know why this person can sell so well and I can’t” it’s all about that. You have to factor in your average order value. Now at the end of the day, there’s also another element involved which called the lifetime customer value and that’s a different story, a different ball game and I’ll see if I actually have any people asking about that in the future and we can actually go from there. Those are the five questions. Again, if you guys have more questions and you want your questions to be featured in our daily huddle which happens every single weekday and it’s going to be at random times. I’ve been actually doing the habit of trying to be on live at 9PM Eastern time and 6PM Pacific but it really depends on my schedule. Sometimes I maybe live at different times so make sure you follow me on Facebook and subscribe to my YouTube channel because that’s when once you actually see me live you’ll get an instant notification and you’ll know right away so you can jump on board and be the first to know exactly all these valuable information. Now, put in the word valuable in the comment box or in the chat box if you guys find this like super valuable, you guys learn a lot of things from simply just being with us in our daily huddle every single day. While you guys are doing that I want to see like symbol from Facebook. Facebook guys I want to see some like symbol coming in. I’m starting to see people putting the word valuable in here. Guys again, if you have any questions simply go to www.fredlam.com/ask if you’re on Facebook at the top there’s a link. If you’re on YouTube right at the bottom there is a description link that you can click on it make sure you actually ask your question there. Every single day I’ll pick five questions and I’ll answer in full detail, that’s what I’m going to do. And also remember every single Monday I’m going to be announcing the winner to our kick start 500 grant, so I’m going to invest in you and potentially you can get it on in one on one consultation call with me where I can help you build, grow and scale your business. Before I leave, I have a question for you guys, a very important question. If you see me looking at the sides because I’m looking at the comments and everything right now. So here’s the question for you, I’m going to host a brand new workshop next week. If you guys want to learn how you can actually drive a flood of sales without a single penny in ads and I can share to you guys how someone actually invest like $200 and made like $800 back within hours, put in the word trainee either in the chat on YouTube or on Facebook put in the word trainee if you guys are excited about that. I got some people giving me like an angry sign for some reason, I’m not sure why some people are giving me an angry sign and I got some people giving me a sad sign. If you’re giving me a sad sign, out of curiosity tell me what you guys hating this video or something? Is that why you’re giving me an angry and sad sign? At the end of the day I’m just giving you guys value right now so I’m just curious. I think someone is trying to get my attention but they’re not telling me who they are and I just see the sad sign coming in. You know what give me some love symbol, I’m just giving you guys a lot of value training right now but for some reason I’m getting sad sign. If you guys are upset about my video you know what you’re more than happy to just like leave. I’m just here every day to actually inspire, help and really answer the questions. I’m seeing all the loves coming in right now. Anyway, at the end of the day watch out for my email. Before we even have any workshop for next week, here’s what’s going to happen, I’m releasing a video this week that will show you ways that you can actually start a business from less than a $100. For less than $100 I’m going to show you how you can actually start an online business. It’s going to be for those of you who really want to get started and just don’t know where to start. I’m going to tell you, I’m going to give you basically the breakdown of what you need to invest and from there you can decide on what business you want to build. That’s it for today’s daily huddle guys. I look forward on seeing you guys tomorrow. Again, we’re having this every single weekday at random times. I can’t really say and commit myself into a set time but at the end of the day if you guys wanted to actually ask your question, have it answered and also learn from it go to www.fredlam/ask and I’ll look forward on seeing you guys tomorrow. That’s it for today; I’ll see you guys soon.